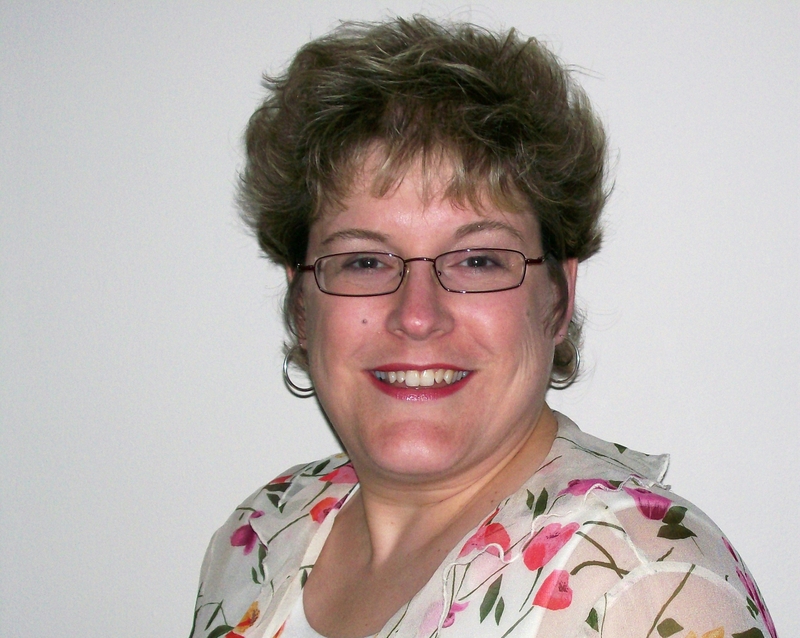 SBCH Spotlight – Member – Sherry! 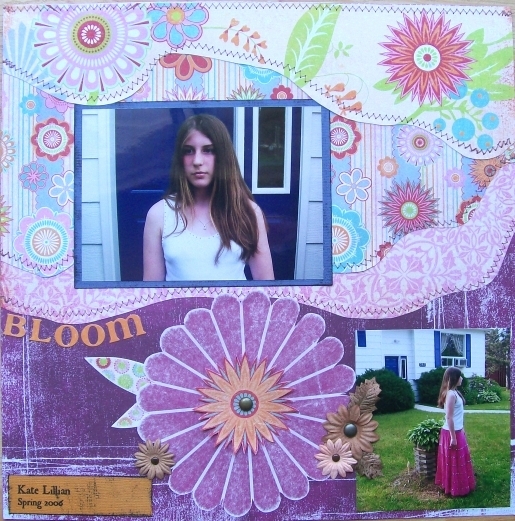 Each week Scrapbooker’s Club House will choose to spotlight one of our forum members. Beware!! You may be the next to be spotlighted! We will of course contact you in advance so you can share your story, favorite techniques and your favorite creations. I remember growing up, asking my grandma all kinds of questions about the times she’d seen. She grew up in the teens and was a mother in the twenties and again in the forties. She saw so much history and I was always curious about how she dressed, entertained and lived. She never answered my questions, whether it was unpleasant for her or she just found it uninteresting, I’ll never know. I got a box of photos after she passed and I was left with a lot of the same unanswered questions. Some photos labeled such as “Mother and Me, Yesterday” drove me to be more attentive to the details in my own life… and were screaming to be identified and preserved. 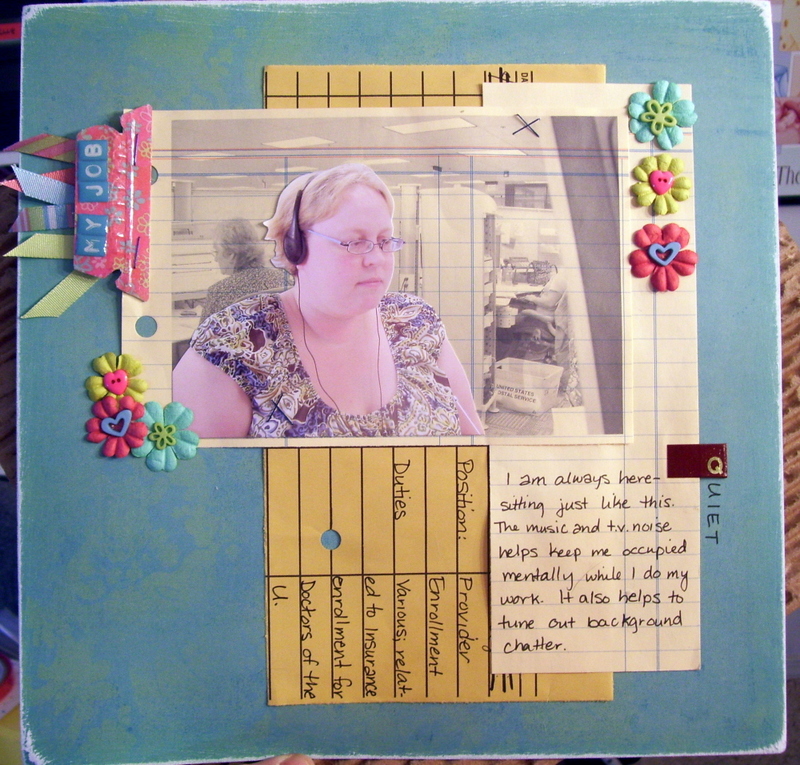 Being a crafter at heart, finding out about the world of scrapbooking I knew that this was the best solution to the problem of identifying and preserving those old photos and keeping track of current photos as well. 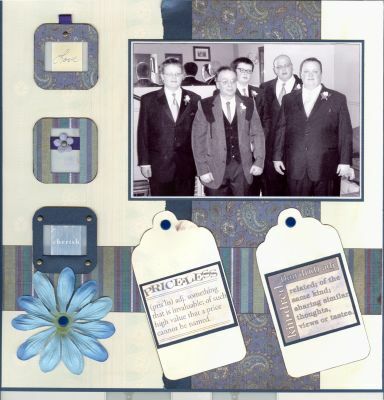 I’ve since evolved from just preserving old photos to creating new memories of every-day life with the art of scrapbooking. I love being able to delve into my art and immerse myself in the feel of the paper and all the textural trendy supplies. I really get into the physical aspect of sanding edges and the visual trick of using ink to add dimension. 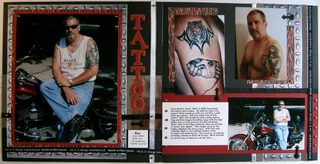 I notice my style evolves as the industry does and from being surrounded by so many talented scrapers with such great ideas. I have been so inspired by challenges and members since joining SBCH that I’ve been able to produce some extremely memorable “memories” and I really enjoy the camaraderie that can be found here at any hour on any day. If you would like to see more of Sherry’s work, Please visit her SBCH Gallery! SBCH Spotlight – Member – Ali! A crazily addicted scrapper since 2002, I lead a fulfilling life that includes freelance writing and autism advocacy work. I’m Mom to 4 kids and 4 rescued critters…with the recent addition of a pony!! I’m an RN and proud Air Force wife to my soulmate, Pete, whom I met when I was 16, right across the street! Our family is based in the Annapolis Valley of Nova Scotia. As a learning junkie, I’ve been absorbing every available “SCRAP” of information about this multifaceted artform. The enriching classes at SBCH have sparked a whole new set of creative ideas. The gals at SBCH have inspired me to stretch myself, to create more than ever, better than ever: and the camaraderie I’ve found among them is the warmest anywhere. Bravo, SBCH!! Please come over to “Ali’s Gallery “to check out more of her awesome work! 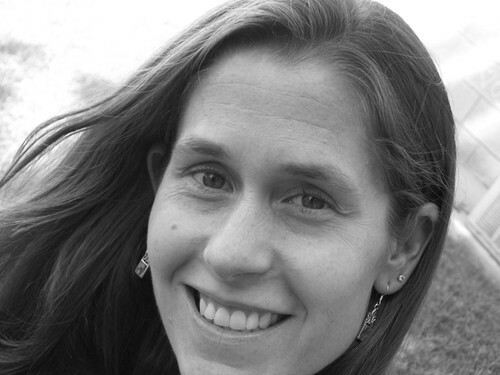 SBCH Spotlight – Member – Mara! 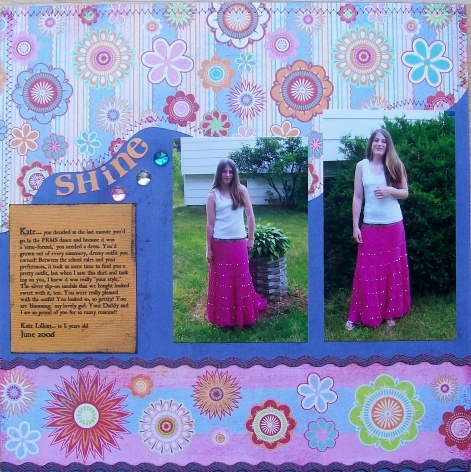 I started scrapbooking in 8th grade when I got a camera for graduation! 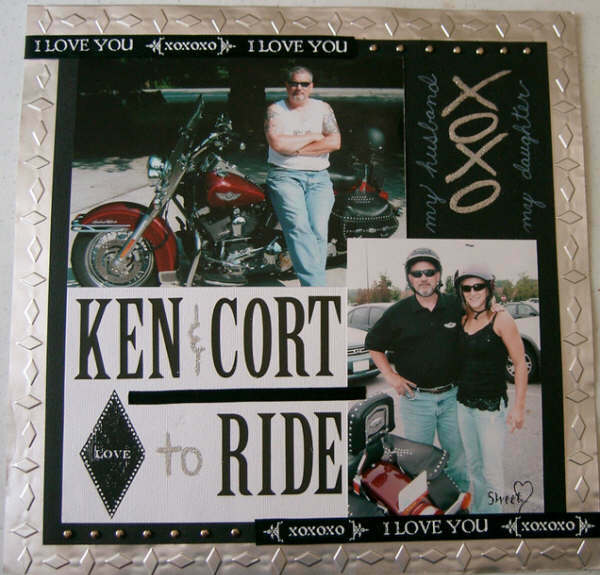 I used the old magnetic style albums, cut up my photos, glued down construction paper and that was it. I’ve come a long way since then. 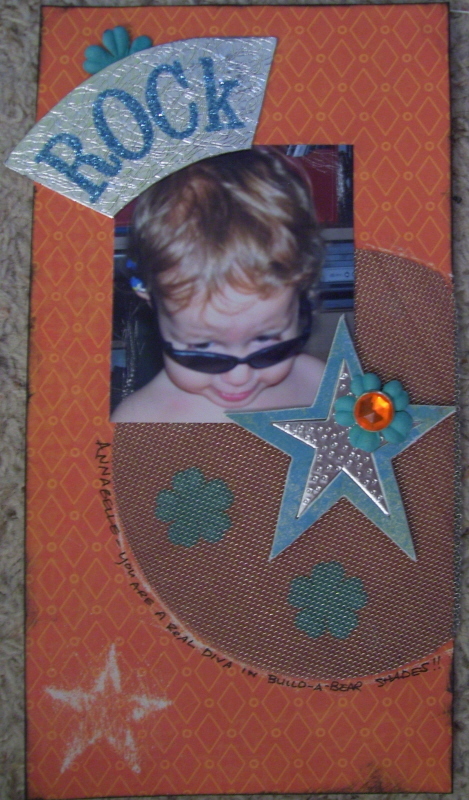 About 10 years ago my mom became a Creative Memories consultant and got me hooked on scrapbooking ‘the right way’. I’ve been loving it ever since! Ever since I had kids and met some great scrapping girlfriends, the obsession has just grown and grown. 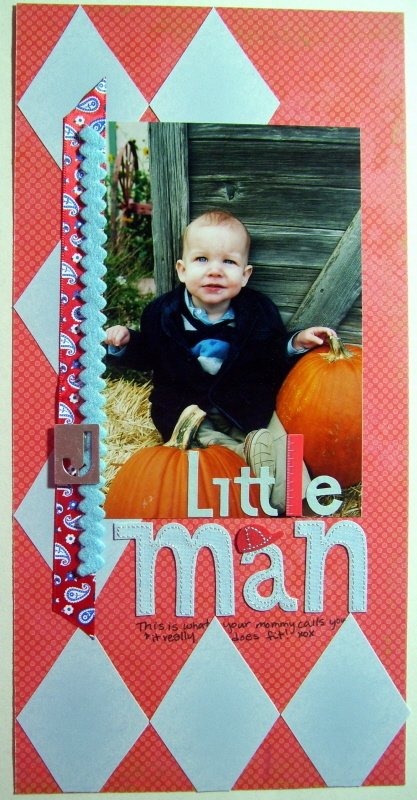 My favorite techniques include stamping, layering paper and cutting up patterned paper to make my own embellishments. I also enjoy inking, sanding, and distressing. There’s really not anything I won’t try at least once! I love learning new things and trying all sorts of new techniques on my layouts. I am so excited I found SBCH, everyone has been so friendly and there is so much talent. Just cruising the gallery is enough to get my mojo flowing again!! Come and check out more of Mara’s awesome creations in her GALLERY!! SBCH Spotlight – Member – Pam! I started scrapping over 10 years ago after seeing a friend’s ABC book she did for her dd. 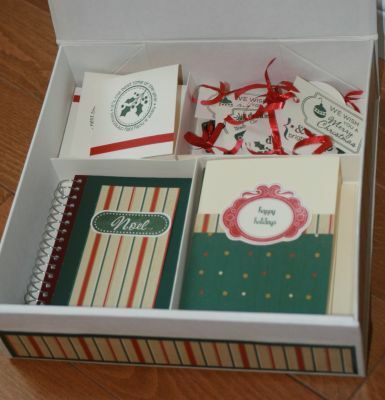 She was a Creative Memories consultant, and I started with CM supplies. I quickly began looking for more color and variety and my style evolved from there. My style is pretty linear with lots of color and texture, and a little bit of bling for interest. Love the shiny stuff!!! 🙂 I love stitching on my projects and am an avid quilter. That probably explains why I love to stitch on my layouts. 🙂 I also love ink and sanding. I have been stamping more lately, I enjoy that as well. I scrap primarily 12 x 12, and 8 x 8, with some minis too. 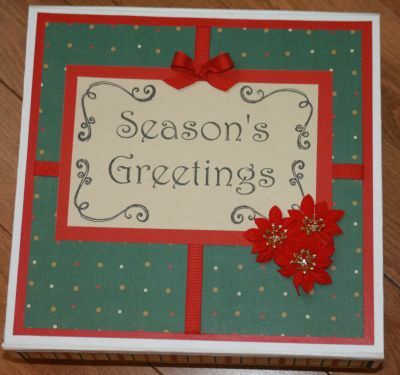 I also enjoy card making. I love SBCH for the fab members and vast amounts of talent, great ideas, challenges, yakking, and caring and sharing members. Everybody here is FAB!!! Here is some of Pam’s Amazing creations! SBCH Spotlight – Member – Lynn! 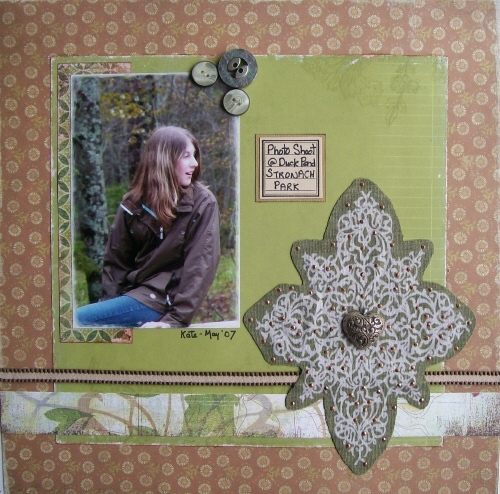 My favorite style of scrapbooking is probably shabby chic/vintage. I love this look and love distressing and aging. I have really been pushing myself lately to think out of the box and try more color. SBCH has been such a wonderful inspiration to me! It’s so hard to pick out my favorite layout! I really do love all of them, each one having its own “special” element. But I guess I would have to say this one of my husband and our four wonderful sons would be my favorite for now. 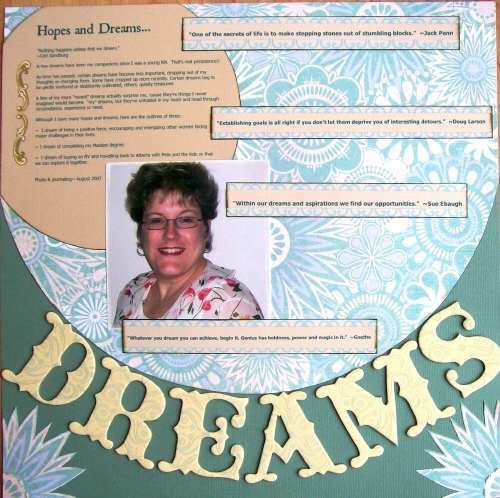 If you would like to see more of Lynn’s creations please feel free to check out her “Gallery“! 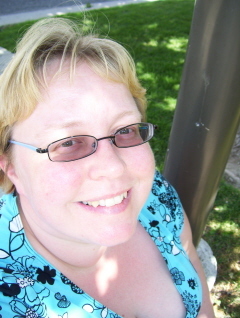 SBCH Spotlight – Member – Michelle! my favorite is a recent one. If you have any questions you would like to ask Michelle, please feel free to submit a comment.